If "making history" is a goal in itself, then this statement is historically true. But it's not only true for women, it's true for everybody. 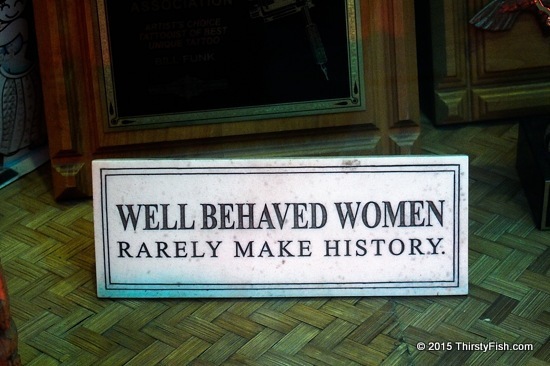 "Well behaved" is a relative concept. Was Rosa Parks well behaved? Or, how about Martin Luther King Jr.? Among the list of "women who changed history", we see the likes of Marie Curie, Queen Elizabeth II, Anne Frank and Mother Teresa. Were they not "well behaved"? There have been numerous people, women and men, who "changed history". Most never make it to history books or oversimplified Internet lists. The point is not "making history". The point is standing up for something. And almost invariably, those who stand up against the status-quo are labeled "misbehaved" by somebody.